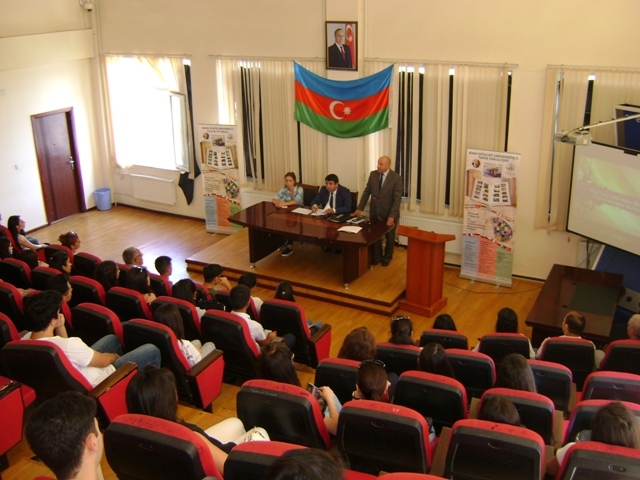 On 12-13 settember at faculty of history was take place meeting with the students and their parents. On these both meeting after Azerbaijan State hymn dean faculty Azad Rzaev became acquanted to attendants with history and creation of faculty history and then there was show film about faculty. Dean deputy docent Bakhtiar Nabiev read very attentively the list of the students according to the group and got to know them the schedule of lessons. In this meeting there was also asked some question by students and parent to the faculty of history and every question was answered attentively by dean and deputy dean.